For the first time, Really Right Stuff will attend the National Association of Broadcasters convention! 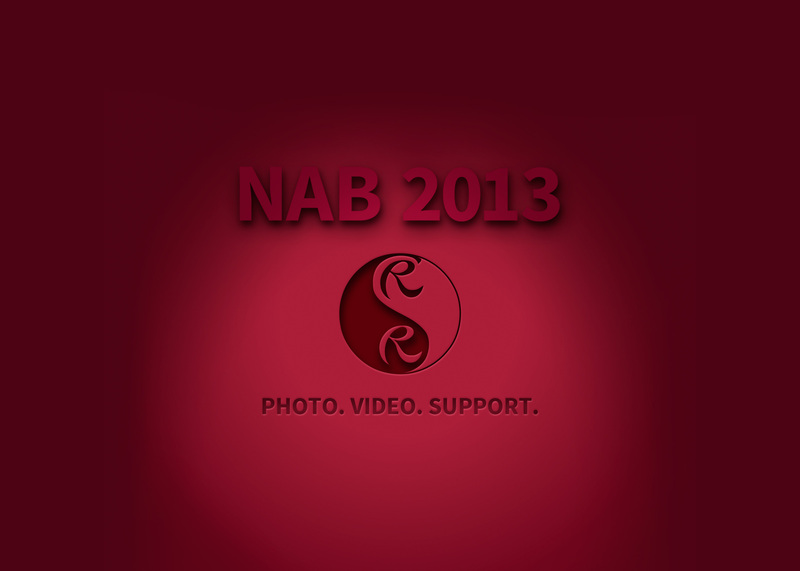 The NAB expo is on April 8th through the 11th. To kick off our first-time appearance, we will unveil a new product line for cinematographers which complements our current support offerings. Our exciting debut will take place at booth C12635, which is close to the Sony booth. (Click here for the floor plan) If you are going to be in Las Vegas around that time and would like to see us, please register and use the promo code: LV5239 to get your free guest pass (a $150.00 value). If you register before March 22 to take advantage of this offer you will avoid a registration fee of $25.00. We will also be giving away a $500.00 certificate for RRS gear at the show, so come visit our booth for your chance to win! Can’t wait to see you what you guys bring out at NAB, fingers crossed for some video style tripods / heads !! Just returned out-of-country and reviewed your email press release and registration offer for NAB. Does your offer (Code LV 5239) still valid for a “guest” pass to exhibits and visitation to your booth ? Love my new tripod !! You will have to pay the $25 now that the March 22nd deadline for that has come and gone, but the code for the free pass ($150 value) is still valid. See you in Las Vegas! Love any opportunity to say good things about your gear. I am a Photographer and Cinematographer and I think you would be surprised and the various ways I use your gear on video projects. I’ve done things like retro fit a glidecam with a CB-18 bar with B2-FAB-Fs for the counterbalance and sliding bars and clamps for balancing adjustments. It has shortened setup time and is a much cleaner setup then the stock gear. Just yesterday I used Another CB-18 with a selection of clamps and and a pair of MPR-192’s for mounting rails to balance a Pair of FS-100 with heavy Ziess CP.2 lenses and mat boxes. together this gear anlong with a pair of BH-40 heads and some Noga arms makes for a really quick to setup 2 camera interview configuration that can be setup in just a few minutes with a pair of Pix 220s and 7″ monitors hanging from the bottom of the bar. The versatility of your gear is reminiscent of the erector sets of my child hood, and allows me the same creativity for setups. Now that you are adding actual gear designed for video production is going to make me even more flexible. Sadly I can not attend NAB to witness first hand your new gear but I will be attentive to the news from the show on the internet. Hoping for cool components like: A fluid version of a PCL1 (in a pair with a gimbal bracket would make a great video head I would prefer that you build something like that rather then an upright video head. There are few gimbal head options, Varizoom that has no movement dampening and Cartoni whose price is in the stratosphere. Generic L brackets for large enough with balance adjustments for Mid-sized video cameras like the FS series would be welcome . An RRS Articulating arm maybe with a Arca style clamp for attaching Recorders or Monitors to bars or open area of Camera L-Plates. (I have quite a wish list as you can tell). I also had a thought about some easy ways to attach gears to your components in order to make them components of Motorized and motion controlled systems. Infinite direction you can go in that industry, and being the highest quality company producing gear in the USA should bring a lot of film makers to your door. Thanks again for all your cool stuff. PS: latest project is using A combination of the CB-18, PCL-1, CRD-Rail, L-Braket on and an MPR plus some gear of my own design to construct a Skater Dolly (See PS Technik Skater® Mini Camera Dolly) that can put the camera Very close to the table surface and rotate vertically around the center point of focus and have easy height adjustments. We definitely use that “erector set” or professional “Legos” analogy a lot around here. We’re very excited to be venturing into the video gear market and can’t wait to share the new products. I think you’ll find we will continue to have that future-proof, super adaptable mindset that makes our products so versatile. So I saw a Instagram photo showing a portion of both your slider and video head… How about some details for us Loyal bloggers?